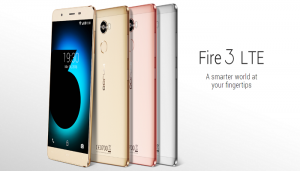 InnJoo Fire 3 Air has a 5.5-inch IPS display with 720 1280 pixels resolution. Innjoo Fire 3 Air sports an 8 megapixels rear facing camera and a 5 megapixels front facing camera. Innjoo Fire 3 Air LTE runs Android 6.0 (Marshmallow) on a Mediatek chipset offering a 1.3GHz quad-core processor. The Android phone sports a very modest 1GB RAM and 8GB built-in storage.Innjoo Fire 3 Air offers 3,000 mAh Li-Po Battery and also supports dual-SIM cards, Wi-Fi, and 4G LTE. Innjoo Fire3 Air LTE comes with the latest Android 6.0 operation system , Fire3 Air allows you to enjoy the ultimate Android experience. As an all-new operating system, Android Marshmallow features enhanced customization and performance, battery saving and much more. With Quad-core processor, 1GB RAM and 8GB ROM expandable to 128GB, your tasks would be handled quickly, orderly and fully. Besides the strong operation ability, the paced GPU guarantees detailed images, providing you impressive HD view experience. Fire3 Air is equipped with a 3000mAh large-capacity battery, which is an ideal power source for browsing, reading, studying, and business tasks. Besides, Android Marshmallow helps save power smartly. Just do whatever you want without worrying running out of battery.